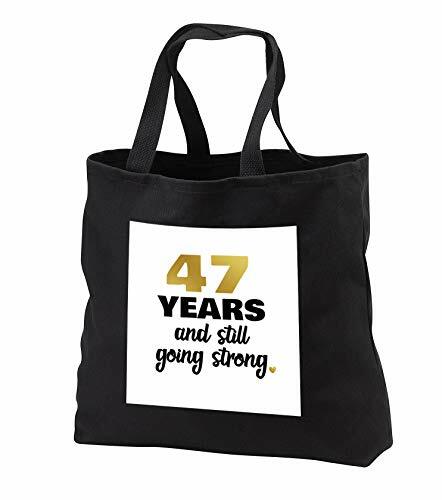 47 Year Anniversary Still Going Strong 47th Wedding Anniversary Gift Tote Bag is perfect for school, errands, or trips to the beach. Custom image affixed to durable, heavy-duty 100% cotton twill with duel cotton twill handles. Jumbo tote available in black only. Standard tote available in denim and black.